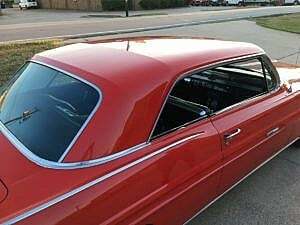 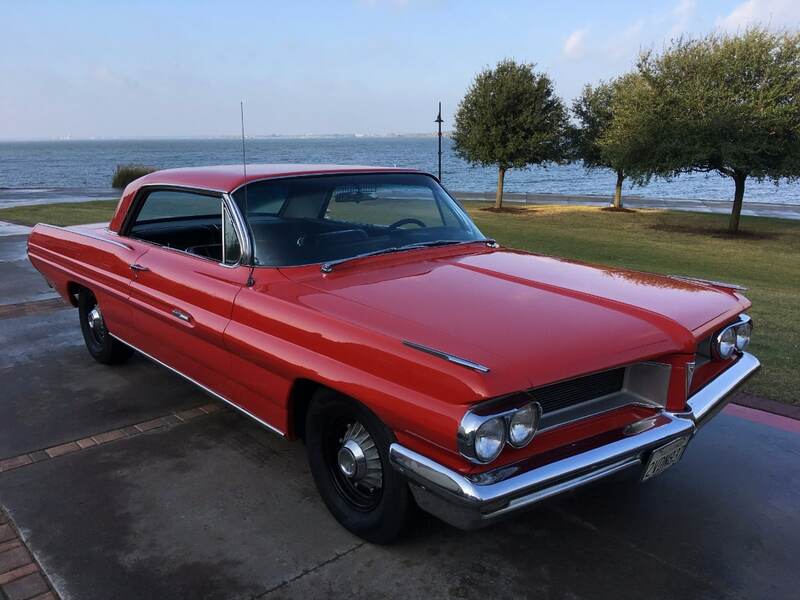 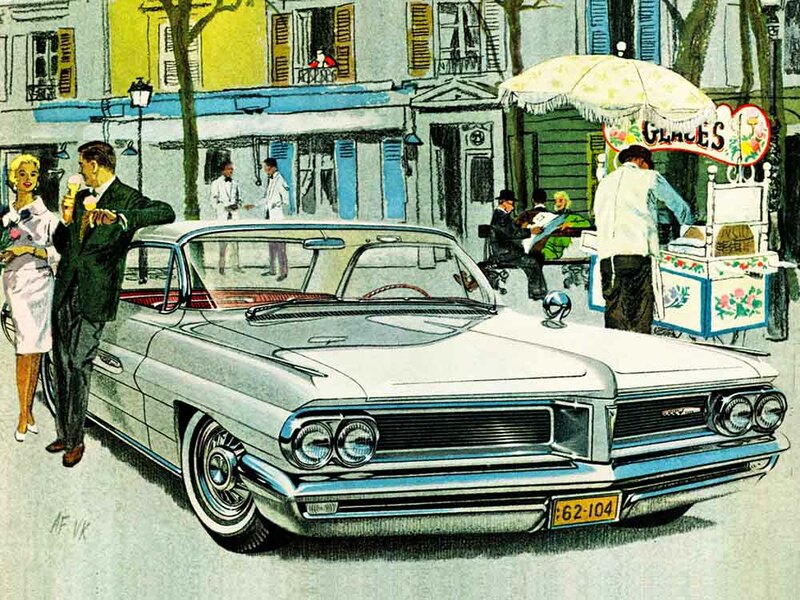 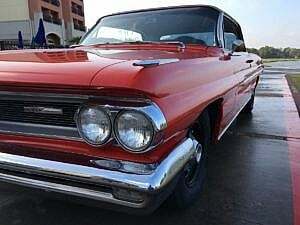 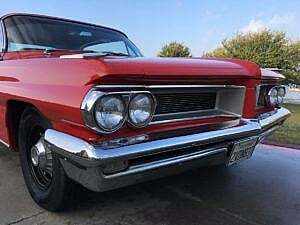 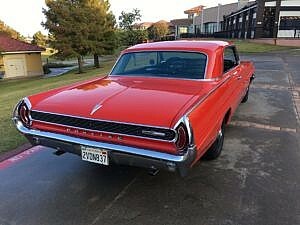 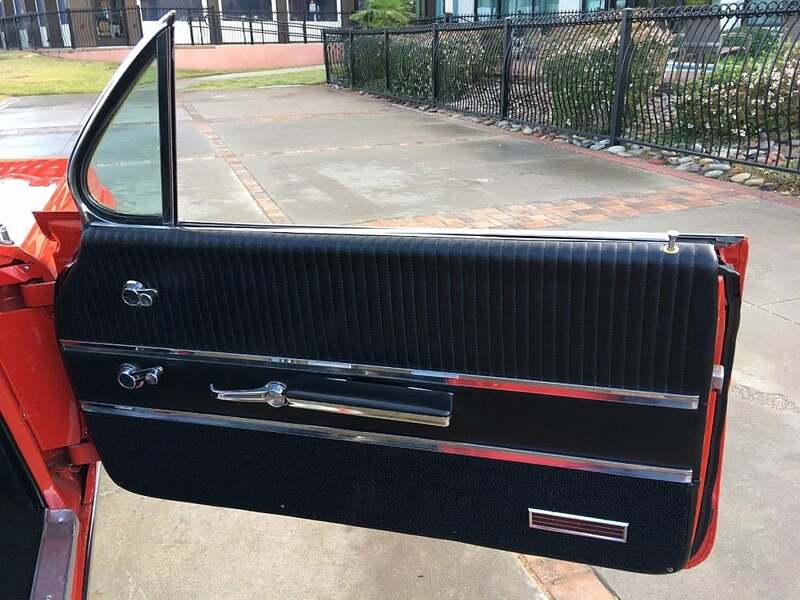 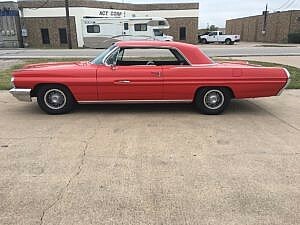 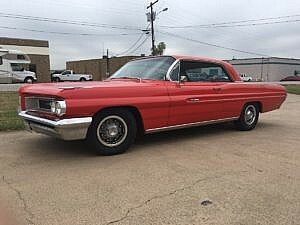 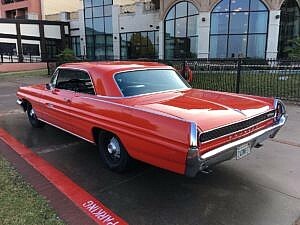 In 1962, Pontiac introduced the Grand Prix personal luxury car and built 30,195 two-door hardtops, the only body style in which the car was available. 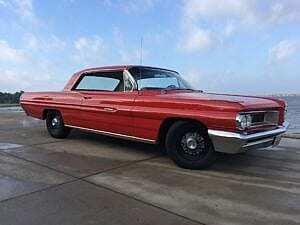 The Grand Prix was introduced as a full-size model offering, and in size, was a step down from the Bonneville. 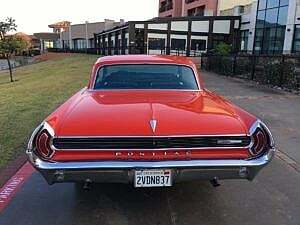 It was essentially a Catalina coupe with minimal outside chrome trim and a sportier interior. 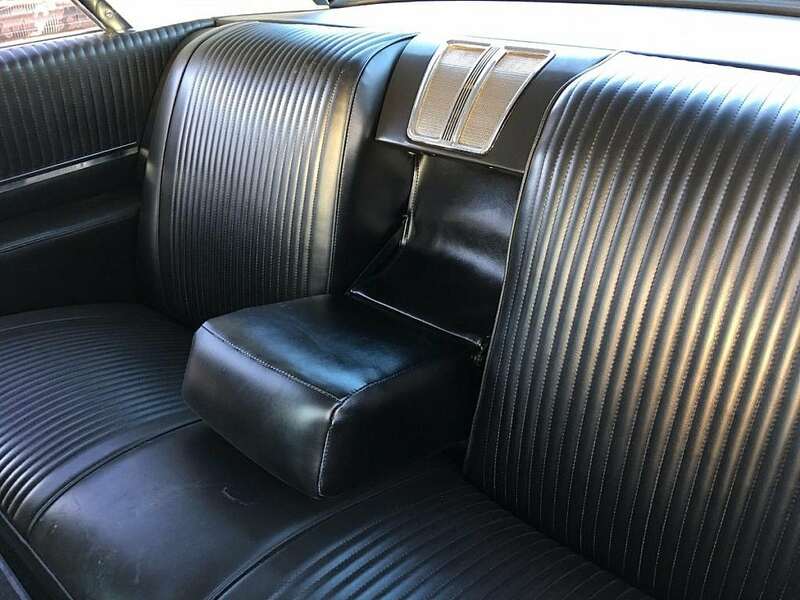 Inside were bucket seats separated by a center console including a floor shifter. The standard engine was the Bonneville’s 303 hp 389ci V8 with 4-bbl carb and dual exhaust. 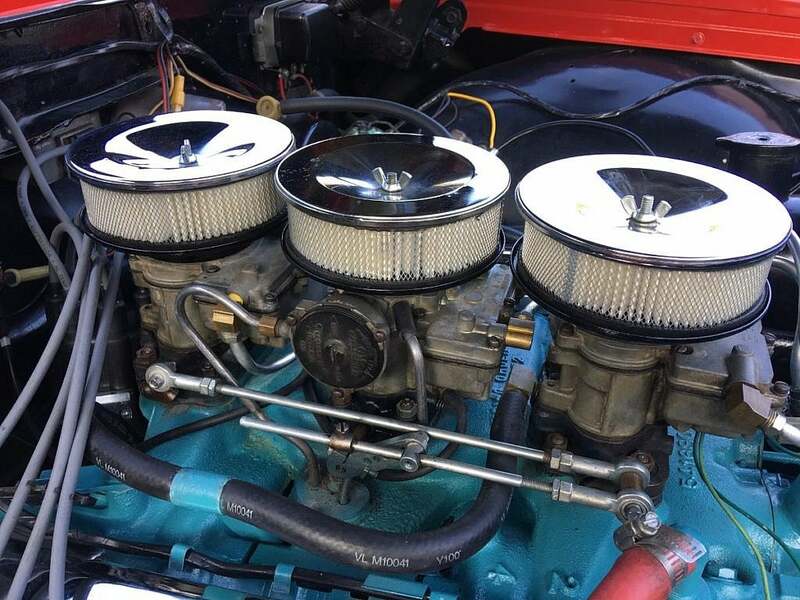 The 389 Tri-Power with 3×2bbl and 318 hp, as well as two other higher-output 389s, was optional. 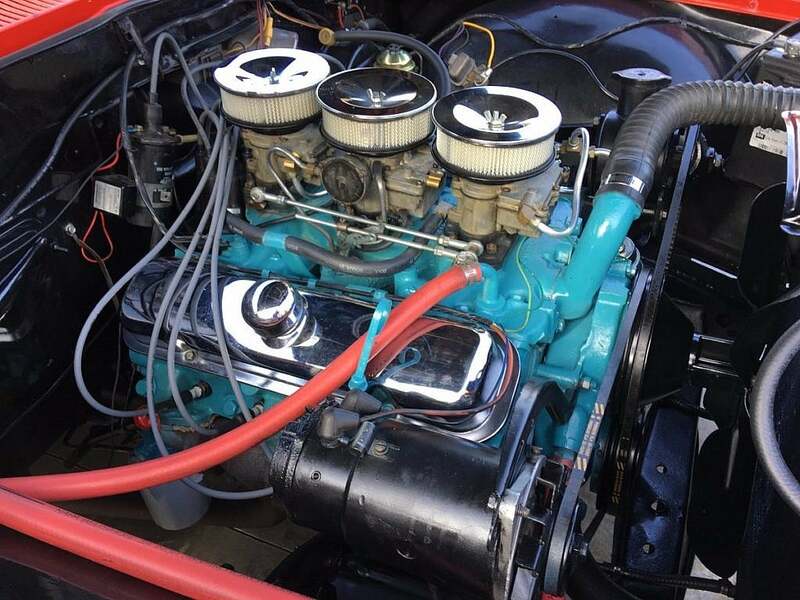 Late in the model year, a ‘street’ version of the larger 421 (primarily a race engine) became available with a 1×4bbl and 320 hp. 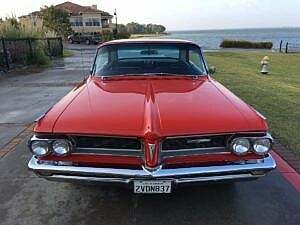 Pontiac also offered the 421 Super Duty with 2×4bbl rated at 405 hp. 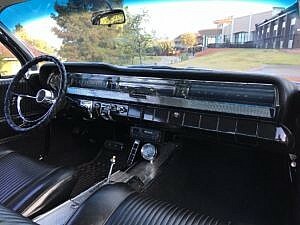 Standard was a 3-speed manual with optional T-10 4-speed with Hurst shifter or 3-speed Roto Hydra-matic. 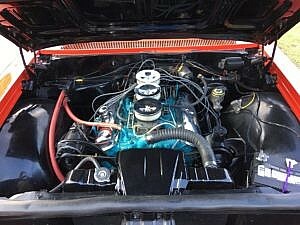 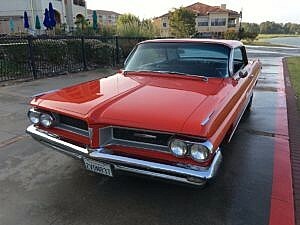 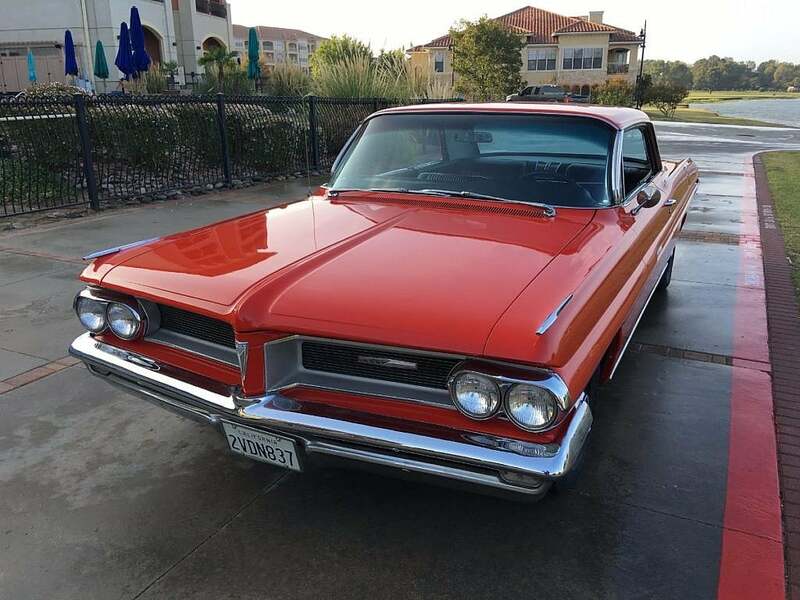 Second Daily is proud to present this 1962 Pontiac Grand Prix powered by the legendary 389 Tri Power and Roto Hydromatic 3-speed transmission. 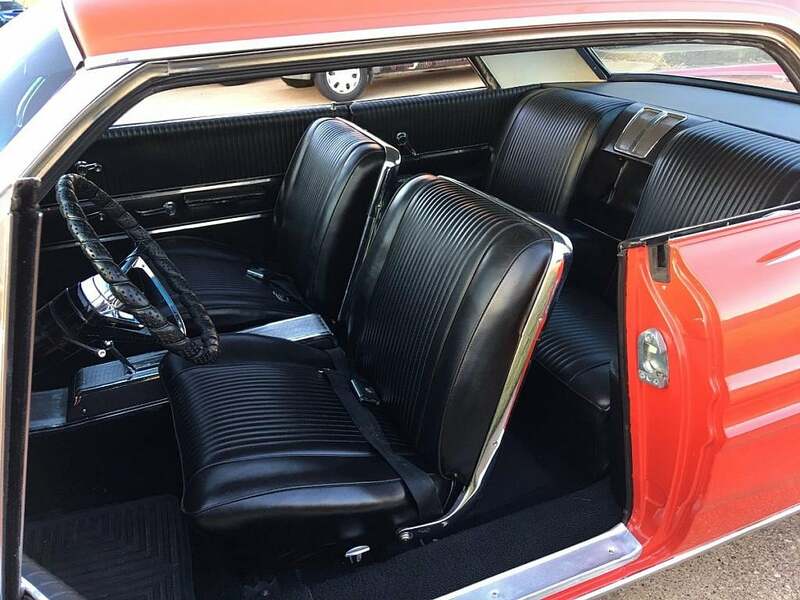 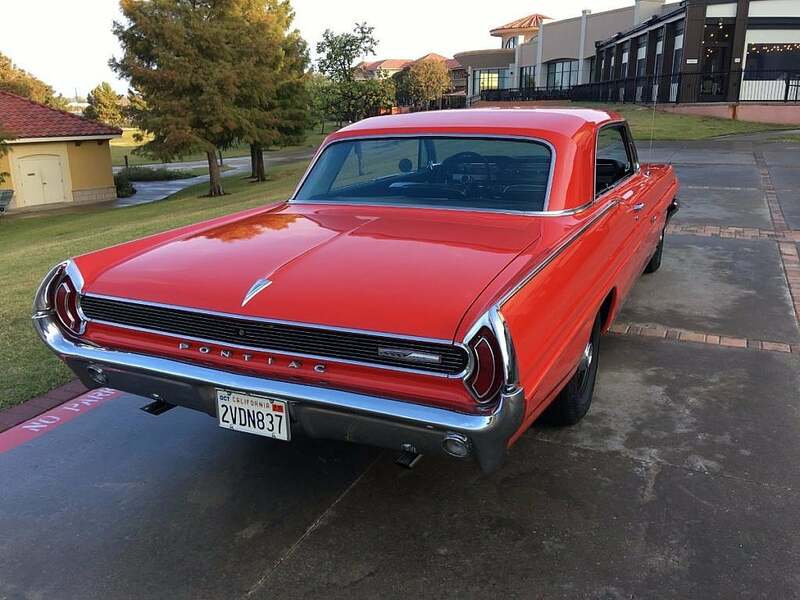 According to the seller, this car was completely restored years ago. It was then purchased and subsequently parked by a collector in California in a climate controlled warehouse. 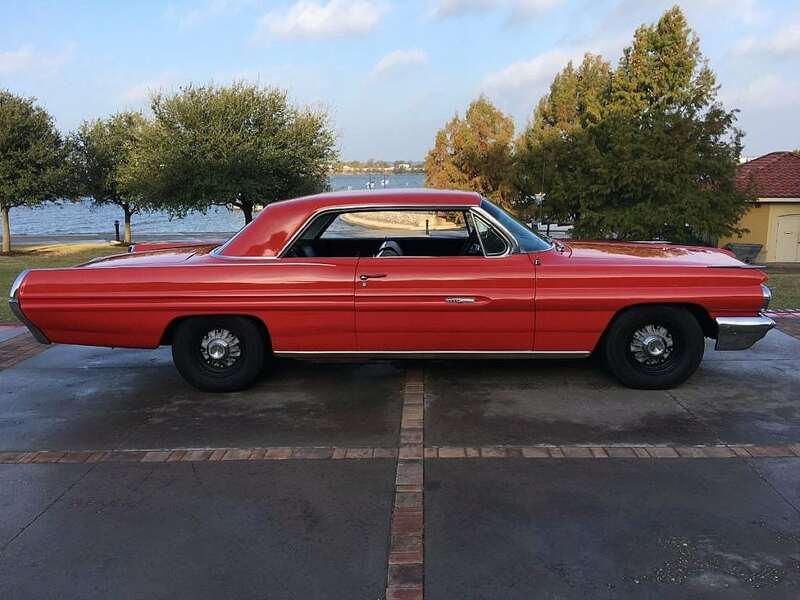 Hundreds of his cars were consolidated in his San Antonio, Texas warehouse, where the current seller purchased it from his estate earlier this year. After sitting more than 20 years, the car required a thorough mechanical going through. 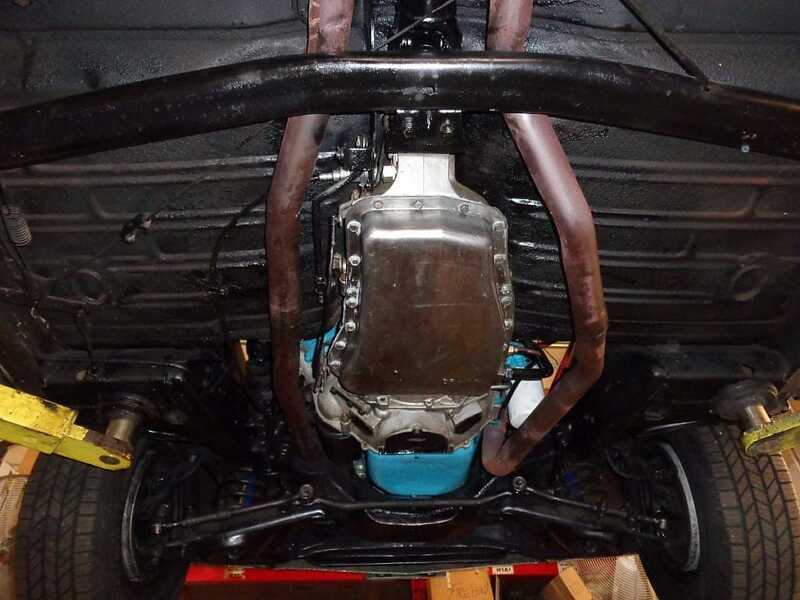 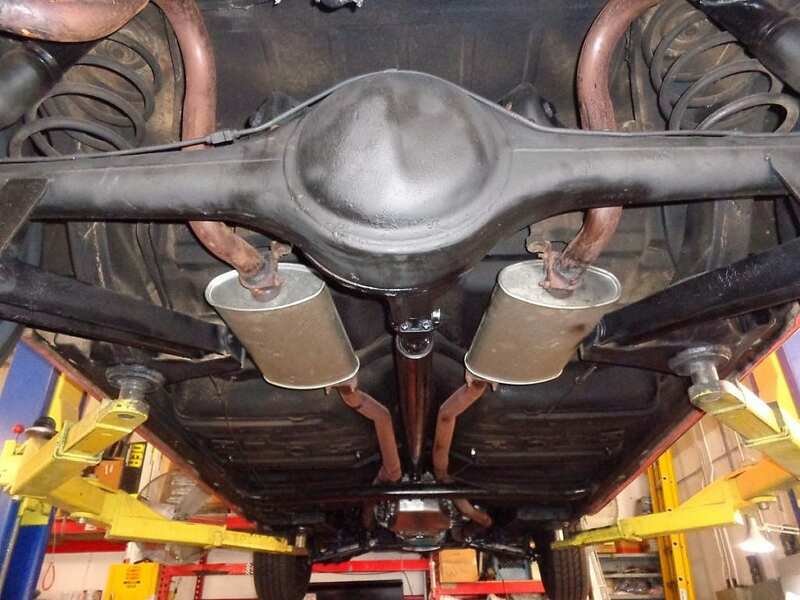 The 8-lug power drum brake system was completely overhauled with a rebuild of the original brake booster and master cylinder, new soft lines, wheel cylinders and resurfaced friction materials. 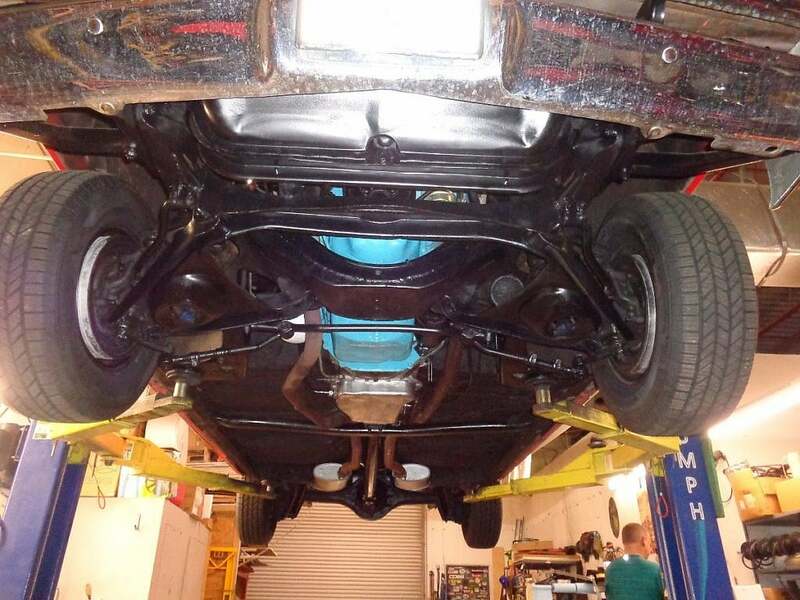 Wheel and axle bearings were replaced and resealed. 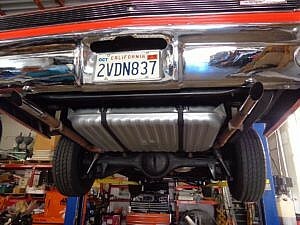 The rear end and driveshaft was serviced. Rubber bushings and ball joints were addressed. 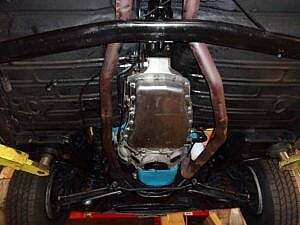 The transmission was drained and a new pan gasket installed. The fuel lines had been disconnected and only the gas tank was contaminated with old gas and was replaced. The water pump and thermostat was replaced as well as hoses, belts and filters. The carbs were serviced and a new cap, rotor, wires and plugs were installed. 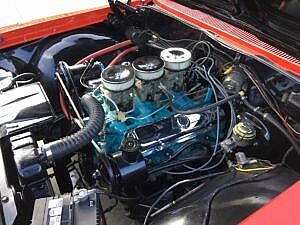 Power steering fluid was flushed and the oil was changed. 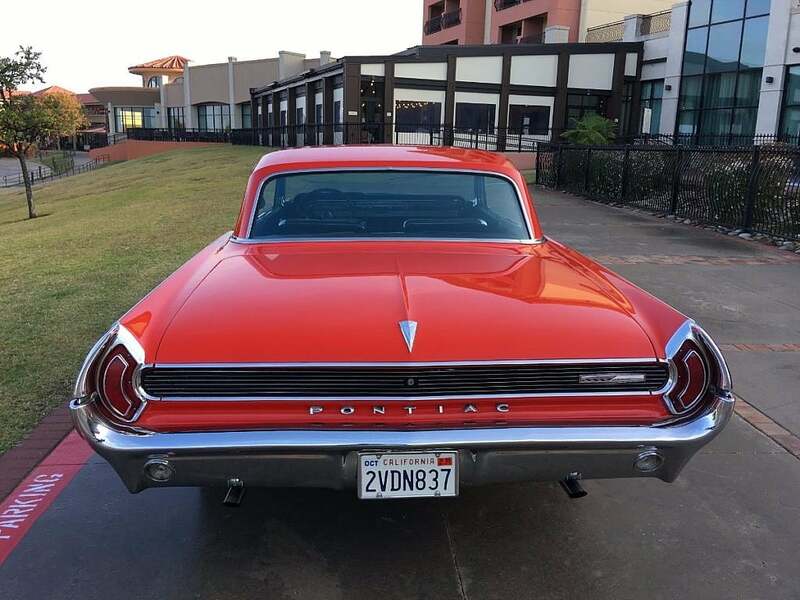 Fresh Hankook radials have been fitted to the iconic eight lug wheels. 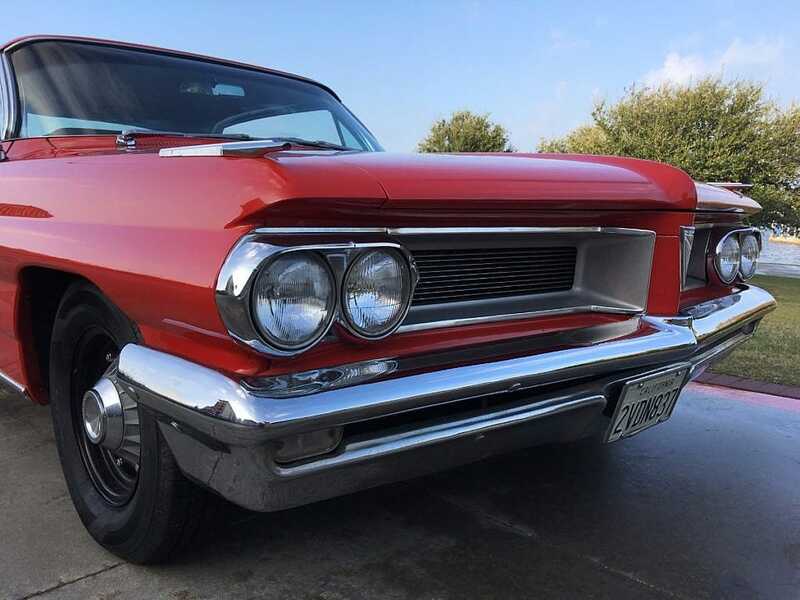 This car has now been completely sorted and reportedly runs excellent, steers and stops straight. 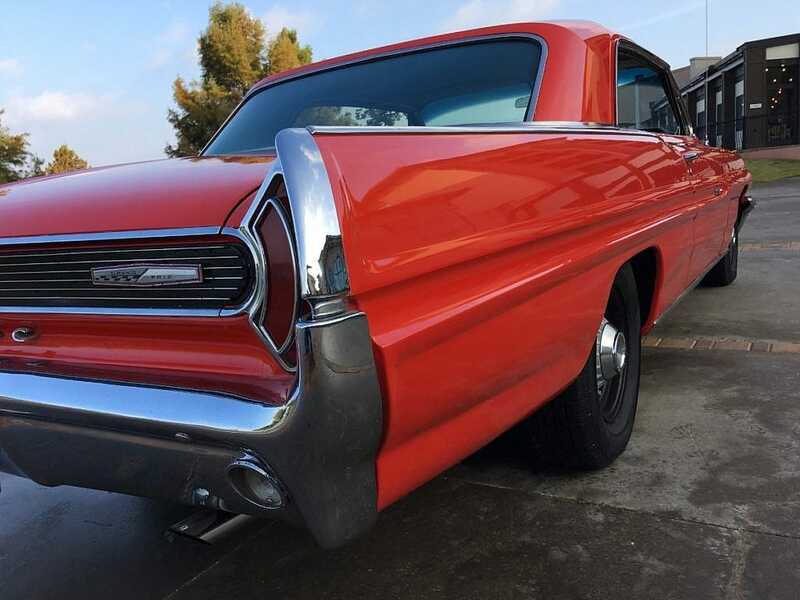 Given this 389 underwent a full restoration prior to being stored, the Mandalay Red (believed to be this color) respray wears beautifully all around. 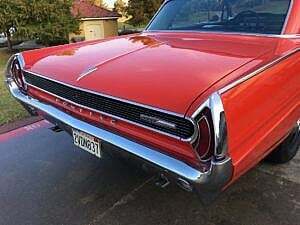 This was a California car and no rust is evident anywhere. 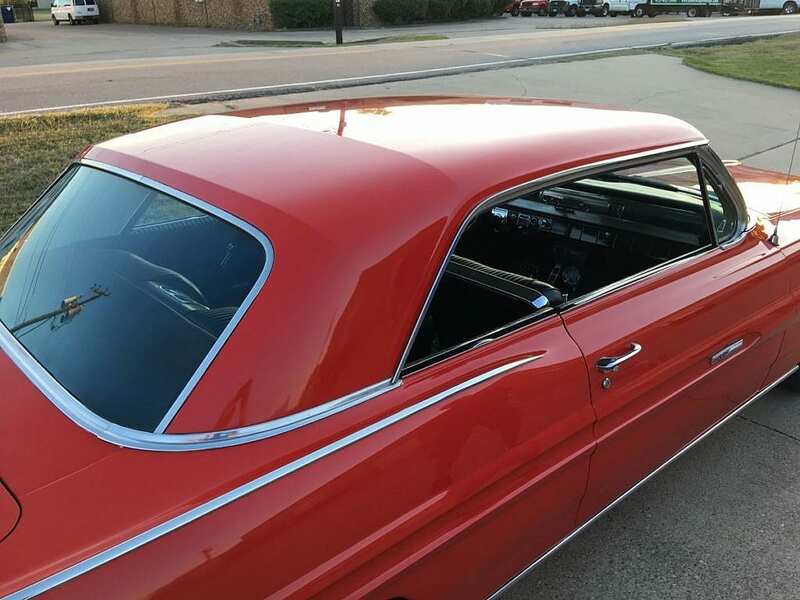 All of the chrome, rubber and glass look excellent without any apologies to report. The seller has provided pictures with and without beauty rings on the original 8-lug wheels. Inside the black vinyl seating presents very well without any signs of unusual or excessive wear. The headliner and dash are in great condition with nothing to report. Everything is reportedly working without any issues. It is lavishly equipped with power steering and an AM radio…exactly as it should be. Values have remained relatively flat over the last few years, with prices ranging from $26,000 to $36,000 depending on condition according to recent sales and Hagerty valuations. 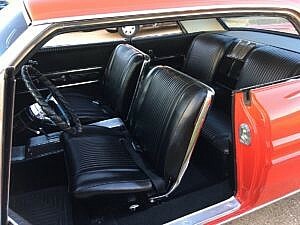 Given the rarity of the 389 and 8-lug setup, along with the high-quality restoration could place this one in the upper range. 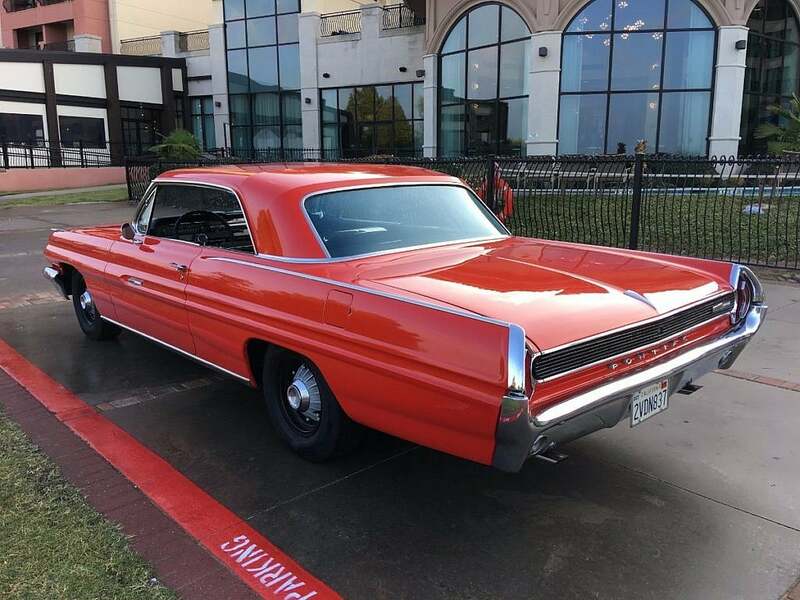 A Super Duty bid to $325k at Mecum a couple of years ago, and whereas these are two different cars, the price here is literally a 10th of that with no less awesomeness. The reserve has been very conservatively set, therefore making this 389 very attractive to both dealers and collectors. 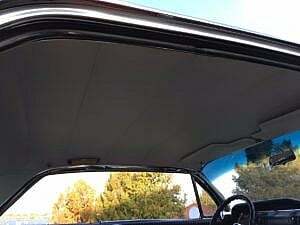 Onsite inspections are welcomed by the seller. 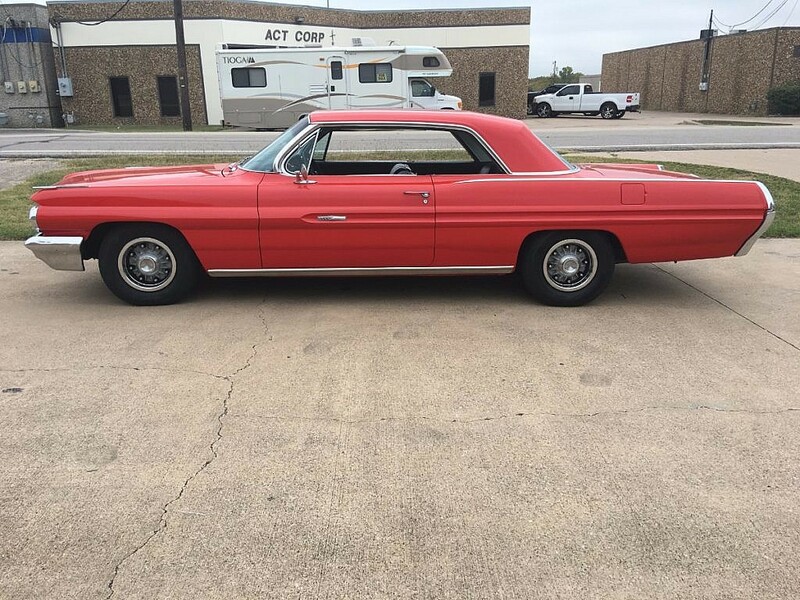 If you would like to arrange for a service such as LemonSquad or some other inspection, Second Daily is happy to cover the cost up to $200 if you end up purchasing this car.